Another pickle of the season. 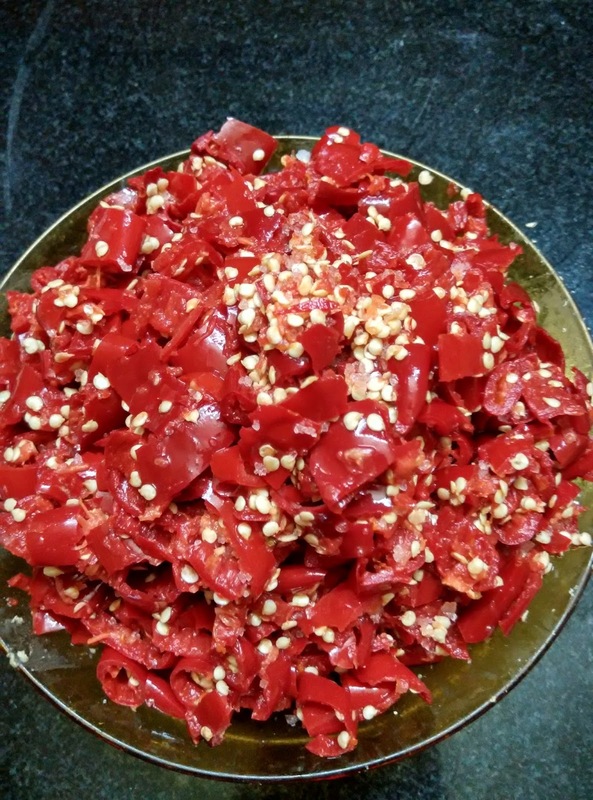 We get ripe chillies in December along with raw tamarind in the market. Yummy combo of the two that tickles the pallet, can be stored a year long. 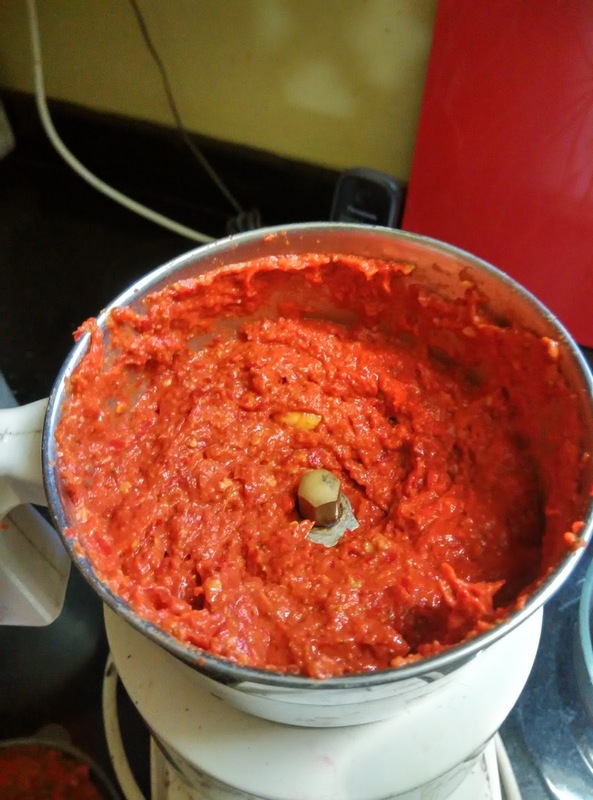 The basic paste is preserved and can be used as when required by giving fresh seasoning in hot oil. Goes very well as a side dish for idli, dosa, and of course with hot rice. I used this paste while making Chinese noodles too. Adding coarsely ground onion with this will make a yummy chutney. 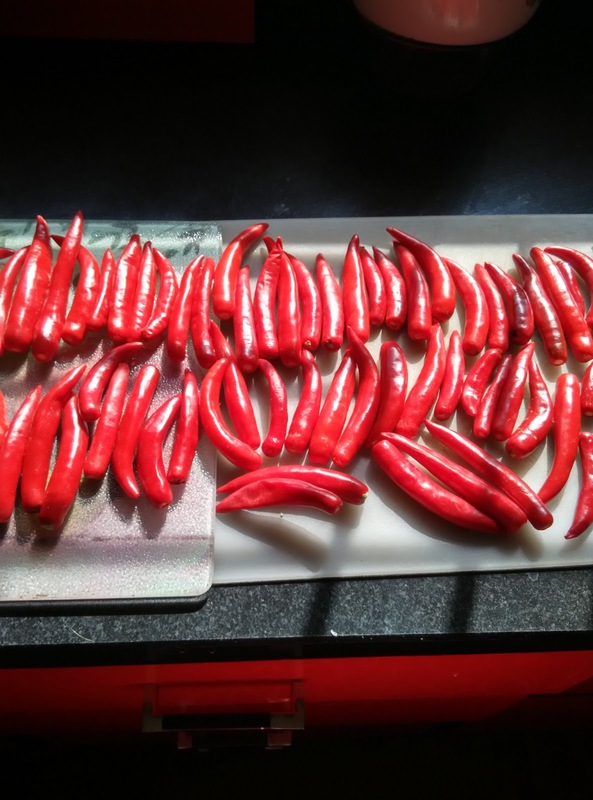 Wash red (ripe) chillies, pat dry them and spread on a kitchen towel to dry well. Remove stem and cut into small pieces and coarsely grind in a mixie using whipper mode. Wash raw tamarind and remove string from sides and coarsely crush them with the help of mortar and pestle. 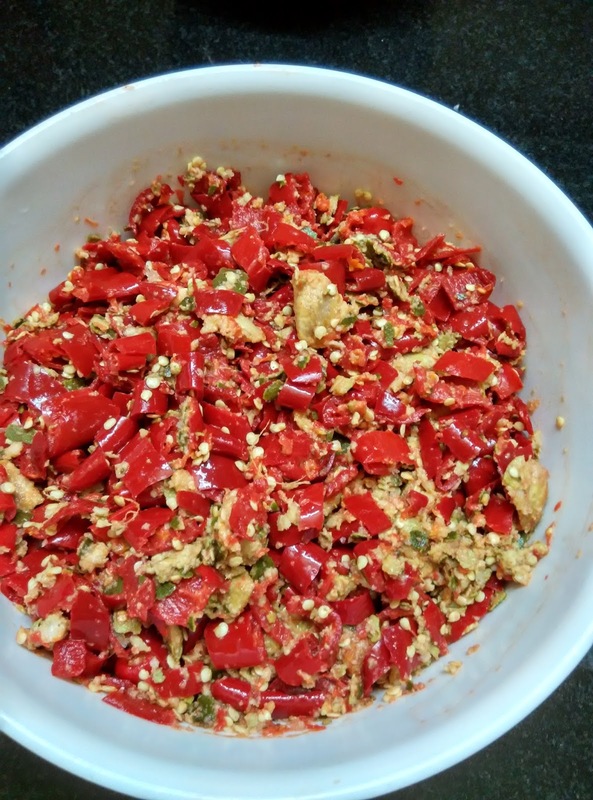 Take both crushed tamarind and chillies in a bowl and add salt. Let this rest for three days. 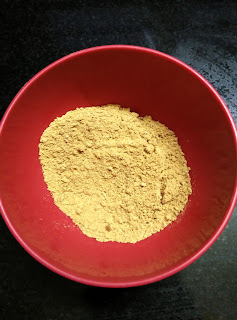 On the third day dry roast methi seeds and powder and keep. 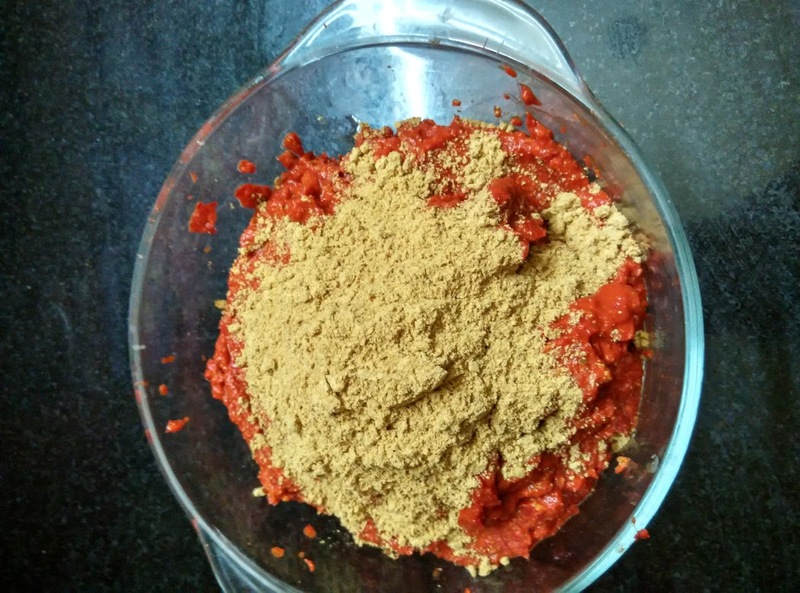 Grind the tamarind chilli in a mixer grinder in batches to a smooth paste. 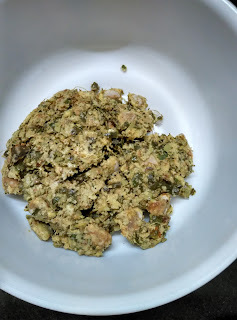 Add methi powder mix well and set aside. This can be preserved in an airtight bottle container. When required take the required quantity and do tadka in hot oil adding mustard, methi seeds, asafoetida and pour on the paste and mix. 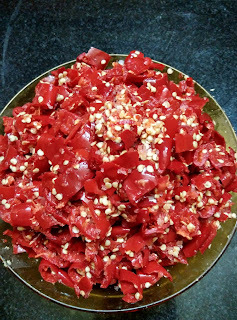 Crushed garlic pods ( as required) can also be added in hot tadka. To make easy onion chutney I use one big onion and grind to coarse paste, then add the required chilli tamarind paste to it and do tadka in hot oil to this. NOTE: Adjust salt as per the heat of the chillies. Use less salt and if required can add more.